Charge Pumps for sizes 24,25,26 and 27 - AVAILABLE !!! 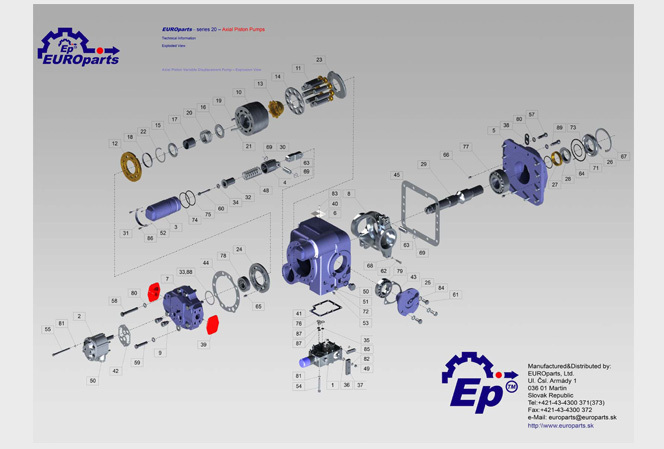 EUROparts, Ltd. Proudly announces, a new project of Ep™ Gear Box (Ep-18) and Ep™ Hydrostatic Drive (GR 112 ccm Pump and MK 112 ccm Motor) for 18m3 transit mixer in China. The complete transit mixer drive for 18m3 makes us a world leader in the complete transit mixer drum, for a big displacement drums (up to 39 Metric Tons of Concrete mixture).Do not hesitate and ask for further details. Copyright © 2010-2018 EUROPARTS. All Rights Reserved.